From the vast plains of the Serengeti to the white-capped peak of Mount Kilimanjaro, Tanzania is a country of awe-inspiring natural beauty and abundant wildlife. The country’s wondrous environmental attributes, along with a stable political situation, well-organised urban centres and magically friendly people, make it one of Africa’s most enticing holiday destinations. Lovers of luxury will find plenty of great places to stay in the country that also provide easy access to large cities and areas of intense natural beauty. Here is a selection of the best hotels in Tanzania. 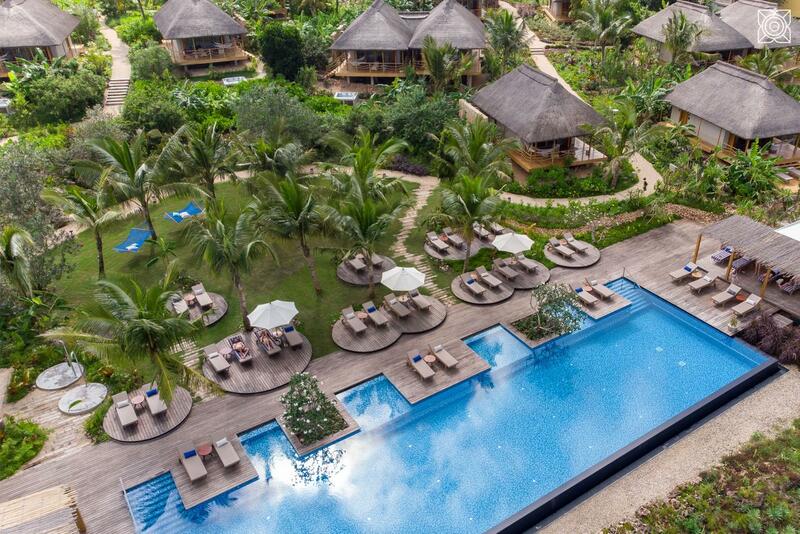 Set right on the edge of one of the best beaches in Tanzania, Zuri is a high-end eco-resort that is the perfect place for sun loving guests to use as a base. Guests can follow the pretty lantern-lit jungle paths that lead the way to a collection of 55 thatched-roof villas that have been carefully designed to reflect the style of a traditional African village. Guests who want to be able to enjoy plenty of privacy while also having easy access to the beach are sure to love staying at Zuri. This beautiful and sophisticated lodge has been built on the side of a hill and provides guests with stunning views all the way across the expansive wilderness of Ruaha National Park. The lodge has been designed so that it blends seamlessly with its pristine natural surroundings and is a very special place to stay while spending time in this part of the world. While each room is extremely elegant and natural, people who want the chance to soak up stunning sunrise views should make sure that they secure room one. Caffeine lovers can take their pick from one of 30 converted plantation houses that are nestled among the coffee fields. The lodge comes complete with a spa, several different restaurants to choose from, and a gently heated indoor pool. In addition to embarking on an African safari adventure guests can also arrange to take a tour of one of the largest coffee estates in the whole of Africa, while the views of the rolling foothills of Mount Meru are sure to delight. Those who simply want to unwind for a while are also invited to visit the onsite Peaberries Spa, where pure pampering is guaranteed. Guests who book one of the eleven spacious villas at the Diamonds Star of the East will be treated to a private and exclusive sanctuary as well as a whole host of luxurious amenities such as a private plunge pool and a very tastefully furnished terrace, the establishment can be found just five minutes from the famous Nungwi beaches and guests will be able to take in the majesty of the famous Zanzibar sunset from their covered Makuti patio. Among the other luxurious touches that guests are treated to are a private beach and a personal butler service, while every effort is made to ensure that guests receive nothing but the very best. 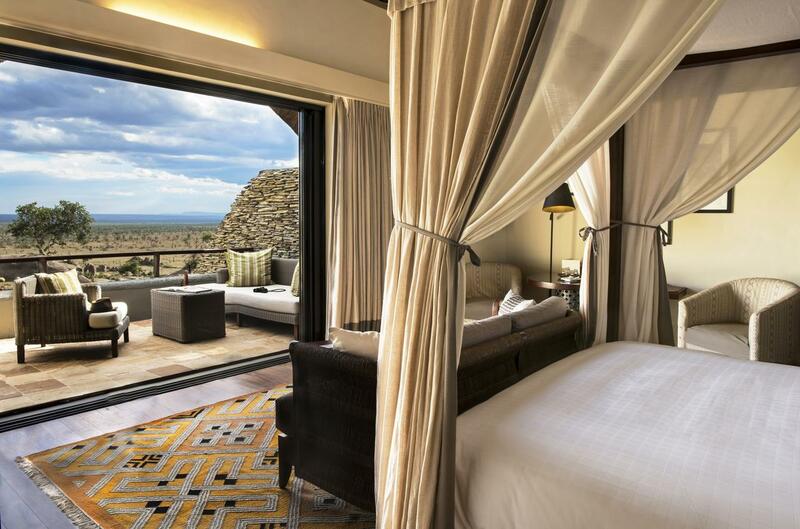 Located inside Serengeti National Park, the luxurious Four Seasons Safari Lodge Serengeti is the ideal retreat for people who are looking for a magical experience and the chance to be at one with nature. The lodge’s design reflects the contemporary African architectural style and the surrounding landscape, with the centrepiece being a magnificent two-story house that provides indoor and outdoor dining options. These eating areas as well as the large infinity pool all overlook the onsite watering hole, providing enthralling views of the gathering animals such as elephants, herds of buffalo and baboons. 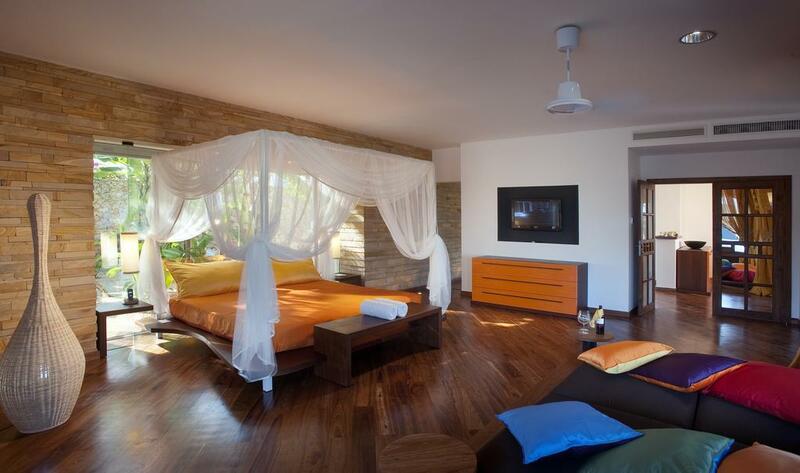 The 12 spacious suites come complete with plunge pools, while there are also five villas with private swimming pools. The most exclusive safari venue in the country, Kirawira Tented Camp provides guests with the epitome of safari camp luxury. Designed to mirror the smart hunting camps of the Colonial era, it is located right next to the western corridor Serengeti National Park. 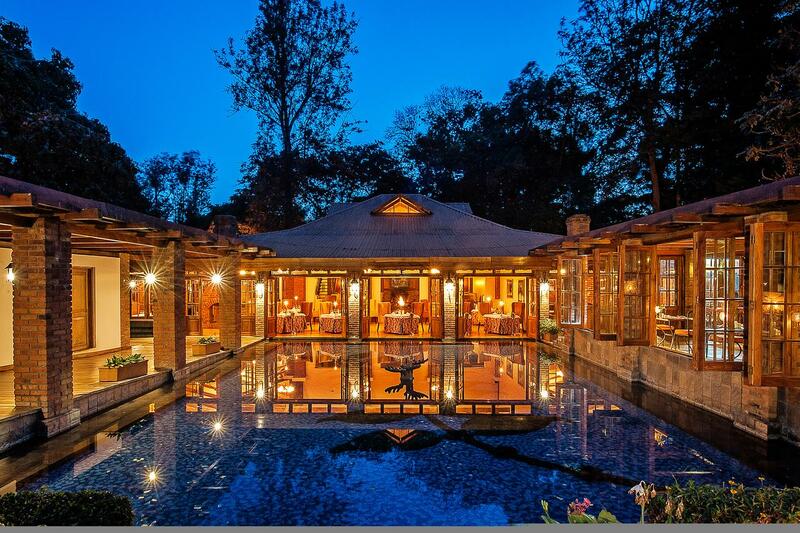 This extremely exclusive camp boasts a graceful central meeting tent that is furnished with Persian rugs, antique furniture, phonograms, leather travelling cases, carved rocking chairs and authentic brass shooting sticks. Guests can take their meals in stylish twin dining tents, which feature Edwardian-style dining furniture, crisp-starched napkins, fine blue and white patterned china where they will be waited on by staff attired in white Swahili robes. The camp features just 25 widely spaced and very luxurious tents that are raised on slid timber platforms and boast stunning views of the plains. 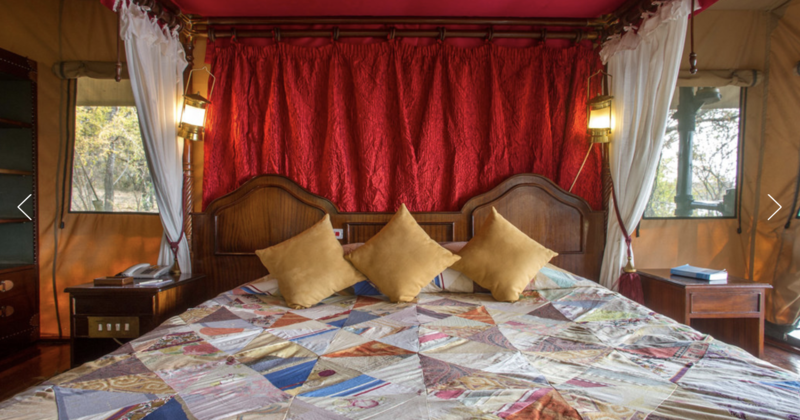 Each tent is set with a very spacious and furnished deck that leads the way to a bedroom that is furnished with classic steamer trunks, a writing desk, rugs, sepia photographs and a huge four-poster bed, while each guest is treated to their own personal valet.